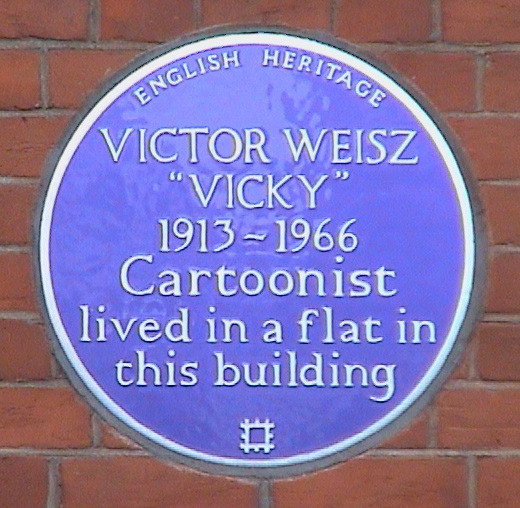 Victor Weisz, "Vicky", 1913 - 1966, cartoonist, lived in a flat in this building. Plaque unveiled by Fern Ravandi, her great-granddaughter. London County CouncilAubrey Beardsley. 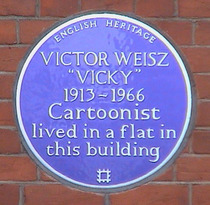 1872-1898, artist, lived here.